Welcome to DBS Energy Services Inc.
DBS Energy Services is a small dynamic Engineering Consulting company that provides an assortment of services for the Power Utility industry. DBS Energy Services is a committed organization that strives for excellence through a strong Professional Engineering foundation. 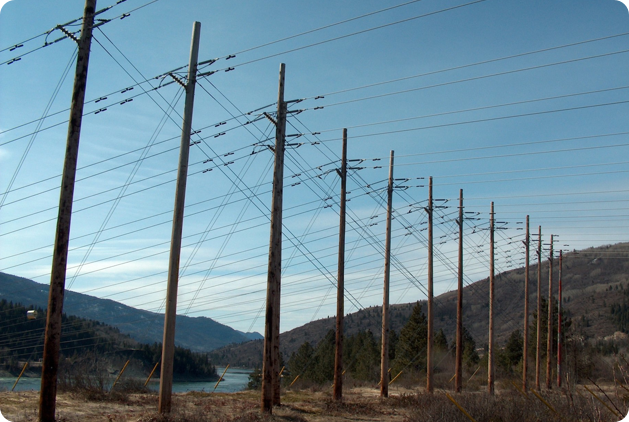 The main focus of DBS Energy Services is in the areas of engineering and management primarily for Transmission and Distribution facilities. This website and its content is Copyright © 2011 of DBS Energy Services Inc. - 2011. All Rights Reserved Worldwide. •You may print or download to a local hard disk extracts for your personal or educational use only. Commercial copying, hiring, lending is prohibited. •You may copy the content to individual third parties for their personal use, but only if you acknowledge the website, and additional Copyrights ©, as the source of the material. Obtain permission before redistributing. In all cases the Copyright © notice/disclaimer must remain intact. You may not, except with our express written permission, distribute or commercially exploit the content. Selling without prior written consent prohibited. Nor may you transmit it or store it in any other website or other form of electronic retrieval system. DBS Energy Services Inc., 1490 Cedar Ave, Trail, BC, Canada, V1R 4C4.